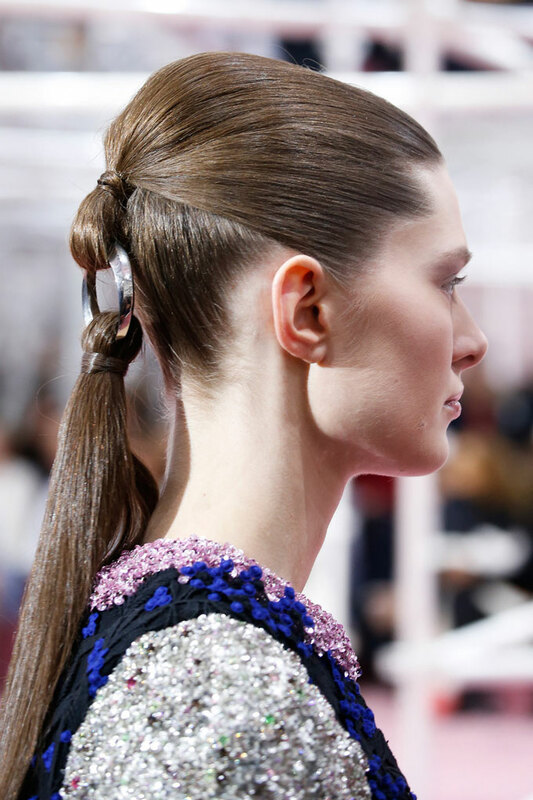 Beauty editors went wild today after a glimpse at Dior’s ingenious faux ponytails. 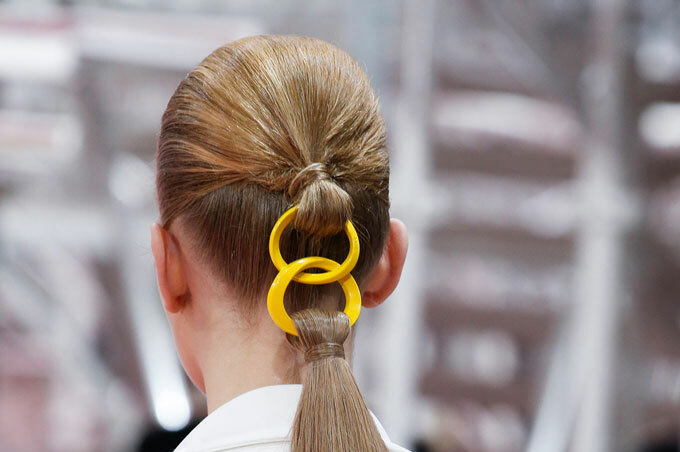 This is a rare example where hair clips are hot as hell — it’s haute couture after all. Following Raf Simons’s David Bowie Ziggy Stardust-era vibe, Guido Palau (who never disappoints!) 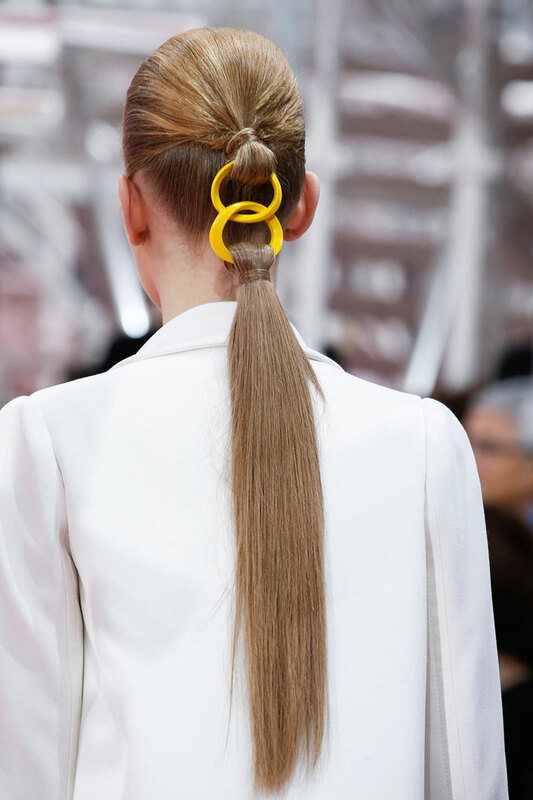 looped models’ existing hair and ponytail extensions using plastic and metallic links, creating negative space in between two bodies of hair. There is very ’60 psychedelic feel to it, with a bit of an alien-esque quality generated by the egg-shaped bouffant. This is genius! I might be on a lookout for a fake pony for the summer, as my hair is taking forever to grow out.